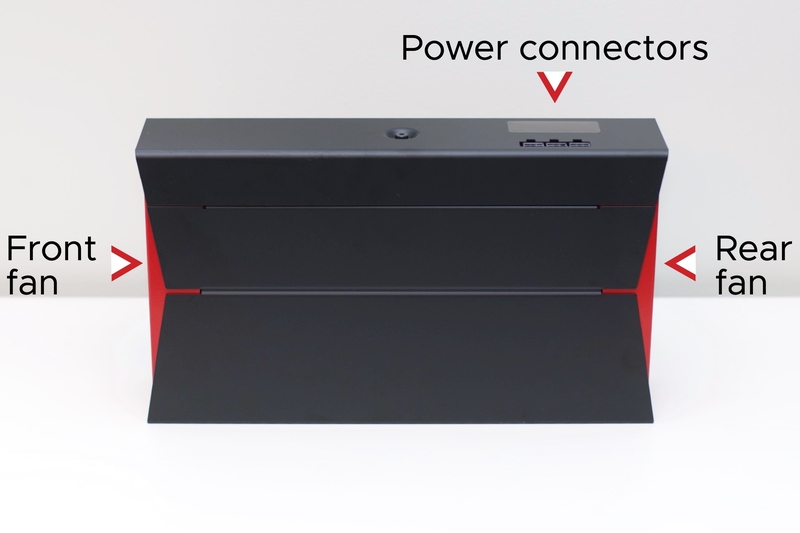 Depending on your hashing board configuration, there will be anywhere from three to six 6-pin PCI-e connectors located at the top of the Obelisk SC1 Slim/DCR1 Slim for connecting the power supply unit. 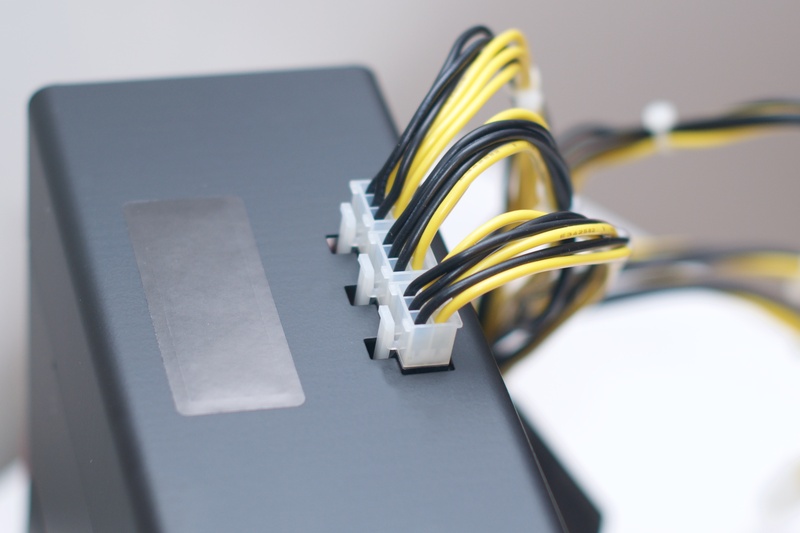 Each hashing board features three PCI-e connectors that, when installed, are accessible on the top side of the Obelisk. Each hashing board must be powered by the same power supply unit to prevent potential damage to the machine. Please use the PSU provided by Obelisk to power your unit. You might be familiar with the shake test and hashboard inspection if you owned Gen 1 Obelisk miners. You should not perform a shake test on your Gen 2 Obelisk miners, and we don't recommend removing the boards on these units unless you absolutely have to. Connect PSU power cable connectors to each of the available PCI-e connector ports on top of the Obelisk SC1/DCR1. 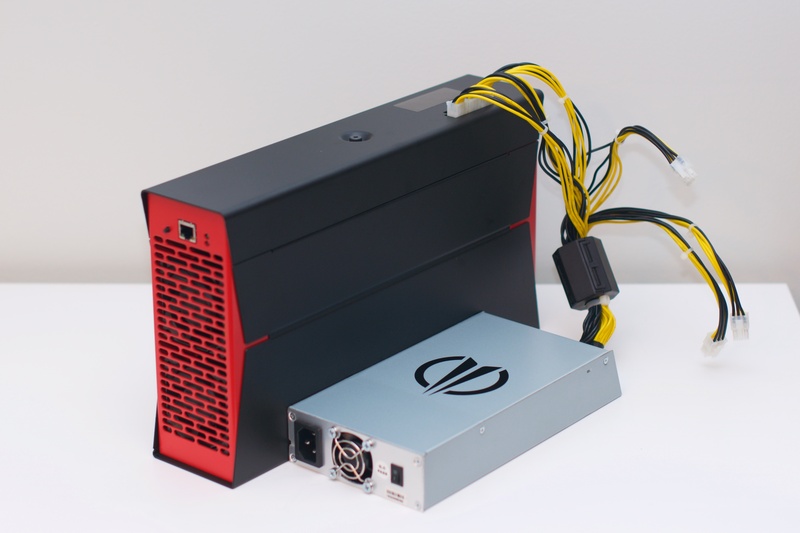 The power supply can sit next to the Obelisk miner. Connect the black power chord to the Obelisk power supply. Do not replace the power cord with an inadequately rated cord. If you have questions about which cords are capable, please contact us. Plug the power cable into a wall outlet. Connect a network cable to the Ethernet port on the top of the front fan grill. Power on the unit by flipping the switch on the PSU. Do not block either fan. The SC1/DCR1 require adequate cooling for optimal performance and any obstruction to the fans could cause damage to your device. Learn how to get set up and get mining.